Larky (http://www.larky.com) is a venture-backed startup rooted in Ann Arbor. It is the brainchild of Co-Founders Andrew Banks and Gregg Hammerman, local entrepreneurs who founded the company in 2012 and have received funding from North Coast Technology Investors, The Michigan Pre-Seed Capital Fund, Invest Detroit’s First Step Fund, and several Angel investors. Millions of Americans belong to organizations and institutions ranging from health insurance and credit card companies to alumni associations and museums. However, automatic membership perks and discounts are seldom used to their full advantage because consumers tend to misunderstand or forget about these benefits. 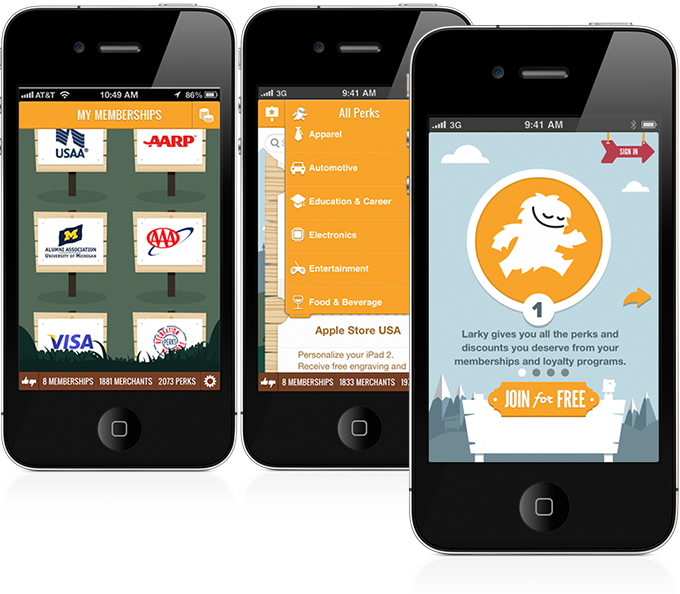 The Larky iOS mobile app, which is free on the App Store, helps consumers get more from their paid memberships and loyalty programs by alerting them when they are eligible for in-store savings and discounts because of these affiliations. Users can also browse through the perks that they are entitled to in the app and on the website. Rescue project: Logic took over the Larky app and brought it to the finish line. 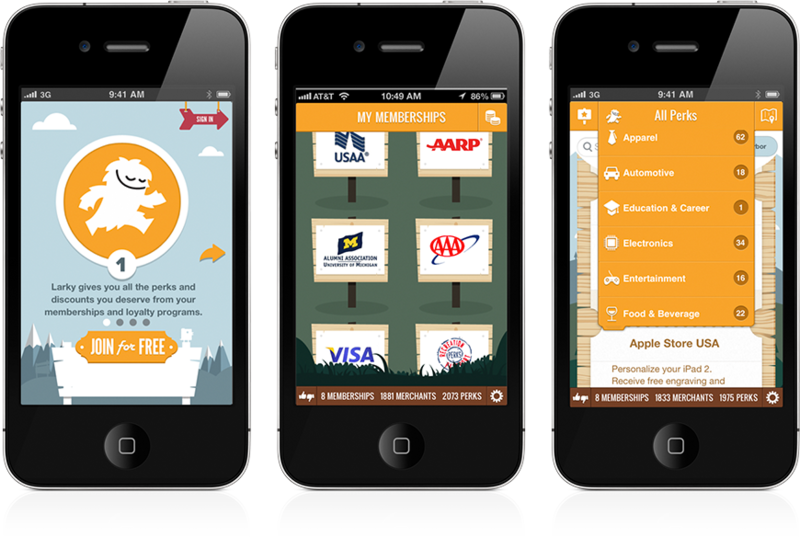 The enhanced Larky app tracks membership and association perks and loyalty programs and helps users exercise their benefits. Getting started with Larky is free, fun and intuitive, and it requires no passwords or member numbers. In the app, Larky users identify their affiliations with groups such as: Alumni Associations, Community & Social Welfare, Credit Cards & Financial, Entertainment, Food, Beverage, Retail, Health Insurance, Travel, and more. This information creates a personalized perks dashboard that displays a user’s active perks and discounts. Larky draws on real-time membership data to categorize these benefits based on location and merchant type, and alerts users when a benefit is immediately available. In addition, users can set their alert preferences if they only want to be reminded about certain perk types. Consumers can also use the Larky website to search for a specific discounted product or merchant type based on their membership affiliations. After assuming the programming of app, Logic worked closely with the Larky team to deliver a reliable, user-friendly iOS app that delivers on its promise to save consumers money. The app was cited as “One of the 15 Best Financial Sites and Apps” by CNNMoney, and the Larky app fits well with businesses because it places an emphasis the relationship with the customer by building trust, increasing loyalty and enhancing overall customer satisfaction.